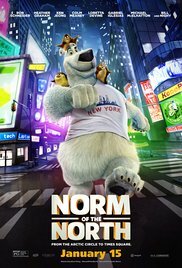 IMDB summary: "Displaced from their Arctic home, a polar bear named Norm and his three lemming friends wind up in New York City, where Norm becomes the mascot of a corporation he soon learns is tied to the fate of his homeland." IMDB summary: "Continuing his 'legendary adventures of awesomeness', Po must face two hugely epic, but different threats: one supernatural and the other a little closer to his home." IMDB summary: "In the animal city of Zootopia, a fast-talking fox who's trying to make it big goes on the run when he's framed for a crime he didn't commit. Zootopia's top cop, a self-righteous rabbit, is hot on his tail, but when both become targets of a conspiracy, they're forced to team up and discover even natural enemies can become best friends." IMDB summary: "A little girl lives in a very grown-up world with her mother, who tries to make sure she is prepared for it. 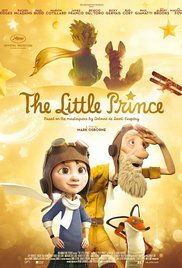 Her neighbor, The Aviator, introduces the girl to an extraordinary world where anything is possible, the world of The Little Prince." Note: This is the English dub's American release date; different language versions of this movie first came out this year. 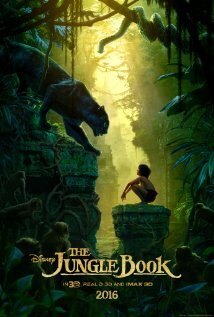 IMDB summary: "An orphan boy is raised in the jungle with the help of a pack of wolves, a bear, and a black panther." IMDB summary: "Bird Island is an untouched paradise inhabited by birds who are naive and innocent, who know nothing of the outside world. They treasure eggs, and are all carefree and easygoing, except for few." IMDB summary: "Alice returns to the whimsical world of Wonderland and travels back in time to save the Mad Hatter." IMDB summary: "The friendly-but-forgetful blue tang fish reunites with her loved ones, and everyone learns a few things about the true meaning of family along the way." IMDB summary: "The Turtles return to save the city from a dangerous threat." IMDB summary: "Taking place in a Manhattan apartment building, Max's life as a favorite pet is turned upside down, when his owner brings home a sloppy mongrel named Duke. They have to put their quarrels behind when they find out that an adorable white bunny named Snowball is building an army of abandoned pets determined to take revenge on all happily-owned pets and their owners." IMDB summary: "Scrat's epic pursuit of his elusive acorn catapults him outside of Earth, where he accidentally sets off a series of cosmic events that transform and threaten the planet." IMDB summary: "A young orphan seeks refuge from his abusive adoptive parents with the help of a pet dragon and a couple who live in a lighthouse." IMDB summary: "Storks deliver babies...or at least they used to. Now they deliver packages for global internet giant Cornerstore.com. Junior, the company's top delivery stork, is about to be promoted when he accidentally activates the Baby Making Machine, producing an adorable and wholly unauthorized baby girl." IMDB summary: "A koala named Buster recruits his best friend to help him drum up business for his theater by hosting a singing competition." El Americano, Animal Crackers, April and the Extraordinary World, The Nut Job 2, Ping Pong Rabbit, Robinson Crusoe, Rock Dog, Sheep and Wolves, Sly Cooper and Spark. My survey of the anthropomorphic movies of 2016 (and 2015) is several months out of date by now. 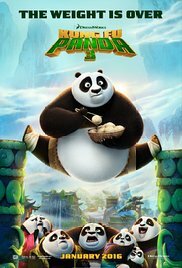 Any other year a new Kung Fu Panda movie would be my most anticipated furry movie, but Zootopia is now the one to beat. ...and what? No love for Get Squirrely on this list? The same with me; it was breaking my heart last year that I had to choose between Jurassic World and Spectre as my second most anticipated movie of 2015 for the 2014 top ten list. Then it got bumped to 2016, and ... I'm actually really nervous about it. A big movie that was missed on your list is the Ratchet & Clank movie scheduled for April 29th. 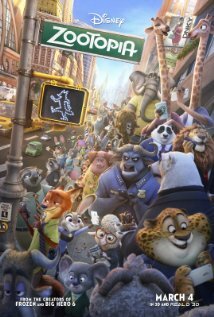 El Americano in the list of Furry movies with no set American release date links to the IMDb of Sings.